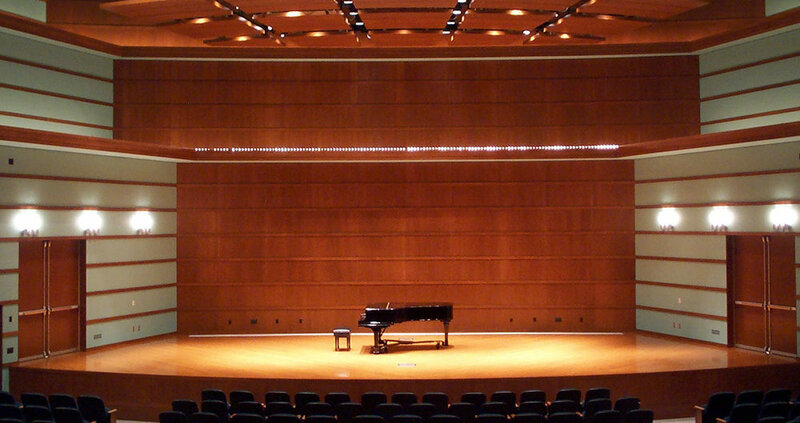 Grinnell College created a unified and inviting center to house all of the arts by renovating two existing buildings and adding extensive new facilities. New spaces for music include a recital hall, a large ensemble rehearsal room, and rehearsal rooms for early and world music. A new dance studio, studio theater, and scene shop were created, and the 1961 Roberts Theatre, Wall Performance Lab, and support spaces were renovated. Eleven new studios and a 7,400-square-foot gallery serve the fine arts. Gene Leitermann was project manager for Theatre Projects during the latter stages of design and construction.